Under Chris' leadership, the Dolan Law Firm has recovered hundreds of millions of dollars for its clients and become one of California's premier plaintiffs' firms serving clients injured due to the fault of another or were discriminated against or harassed in the workplace. 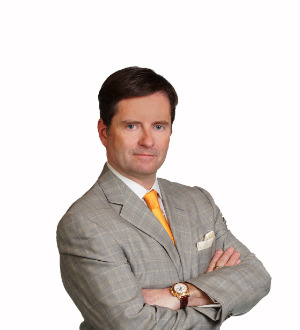 Chris has been recognized by numerous California and national publications as one of the foremost trial lawyers and skilled negotiators in California. The Daily Journal, the leading legal newspaper in California, selected Chris as one of the Top 100 Lawyers in California and one of California's Top 25 Plaintiffs' Lawyers. In 2010, Chris served as President of the Consumer Attorneys of California ("CAOC"), the largest statewide association of trial lawyers in the U.S. In 2013, the CAOC honored Chris with an award for his "many years of dedication, outstanding efforts, and effectiveness" in advancing the rights of the injured and consumers in California. In 2016, Chris served as President of the San Francisco Trial Lawyers Association ("SFTLA"). Both the CAOC and SFTLA have honored Chris with their trial lawyer of the year awards. In the words of the CAOC, Chris puts "his heart and soul" into preserving access to the courthouse for all Californians and "has worked unrelentingly to change" unjust laws. Chris frequently testifies before California legislative committees in support of legislation advancing consumer rights. In 2014, Chris played an instrumental role in convincing the Legislature to adopt a statute requiring ride share companies like Uber to provide $1 million in insurance coverage so that anyone injured due to the fault of a ride share driver would obtain just compensation for his or her injuries.